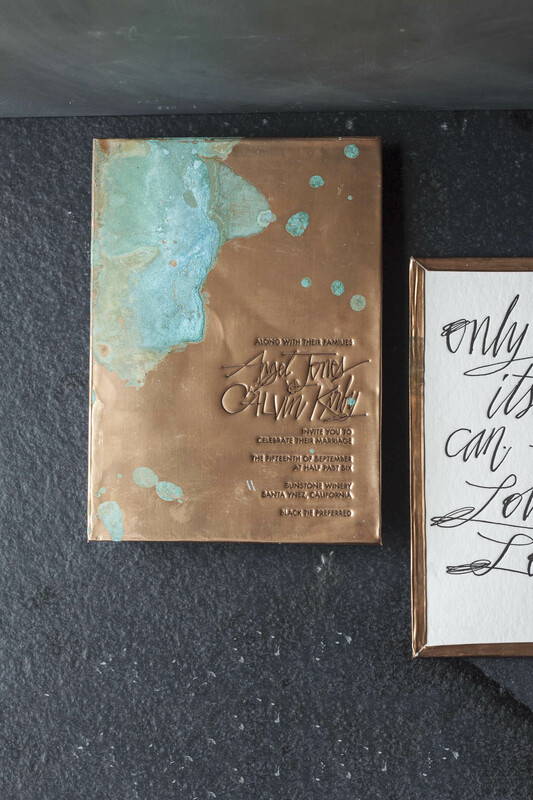 This is the epitome of rustic luxury. 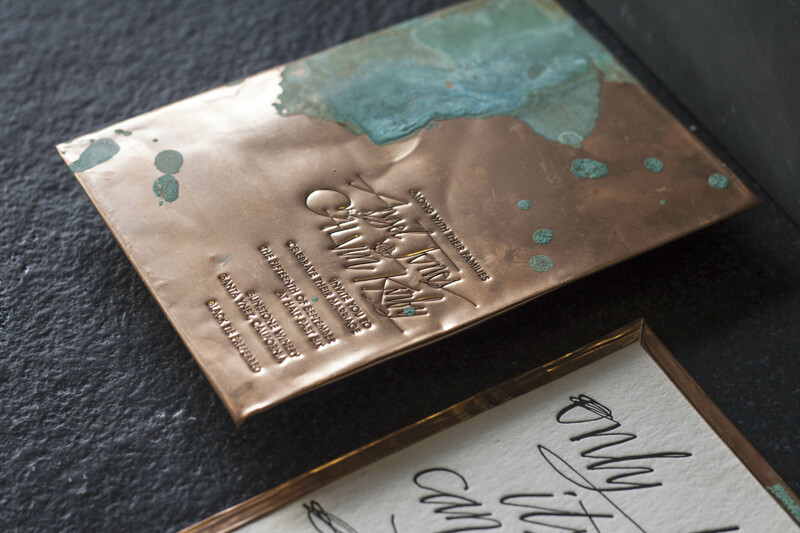 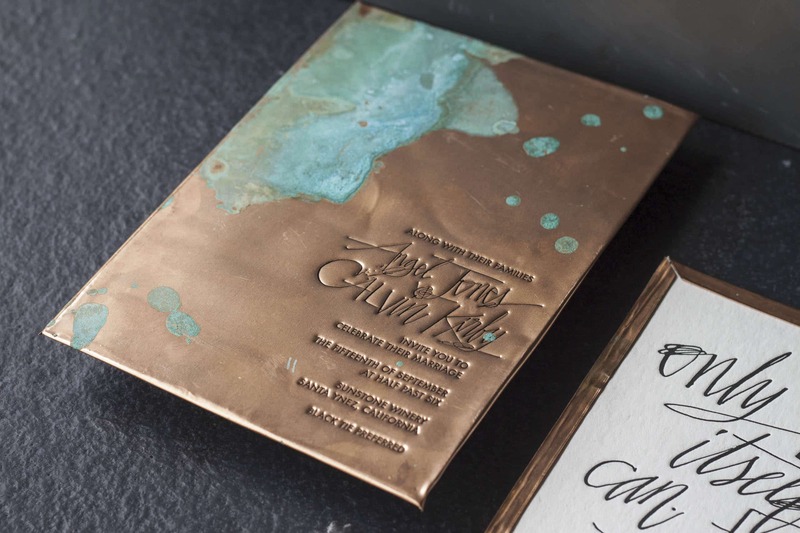 We letterpress-printed directly onto copper sheets and guided the verdigris (patina) process to create a stark contrast of shiny copper and textural blues and greens. 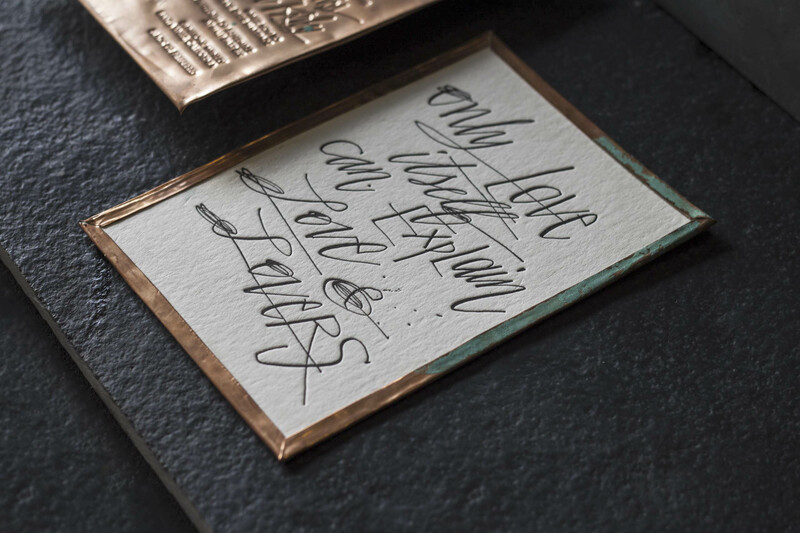 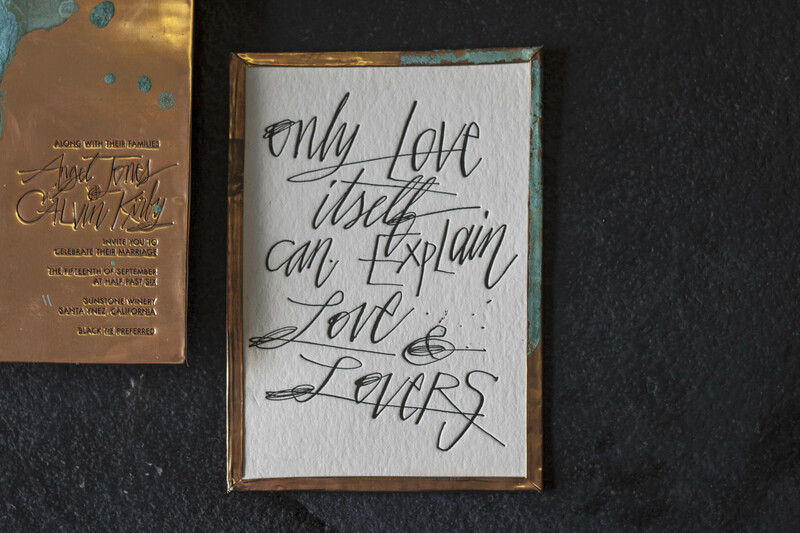 Stunning modern calligraphy by Emily J. Snyder. 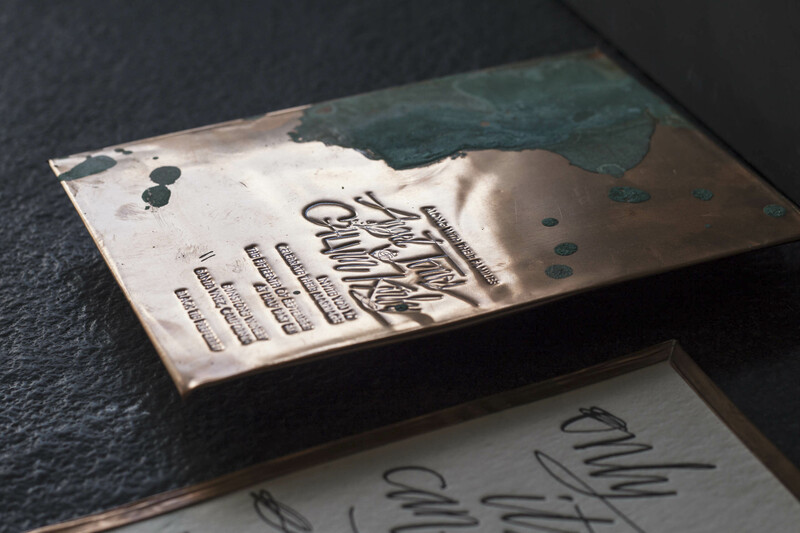 Letterpress-printed Copper and Cotton Paper.